Yet attending a good conference forces me to work on a languishing paper and think hard about its audience and purpose. It’s even more helpful to listen to panels, roundtables, and seminar discussions, especially when you work, as I do, at a rural liberal arts college and often feel cut off from specialist conversation. Best of all, as far as I’m concerned, are the tête-à-têtes between formal events, nicely facilitated by MSA’s free sugar and caffeine. I learn why my counterparts at far-flung institutions are struggling with a new project or problem. I’m reassured that they, too, are pushing through fogs of uncertainty, juggling personal and professional crises, yet still showing up in their fancy modernism-themed outfits to present interesting and inspiring work. My assignment for this column is “process” or, as Debra Rae Cohen originally proposed it to me, the writing life. How does interesting and inspiring work come to be? 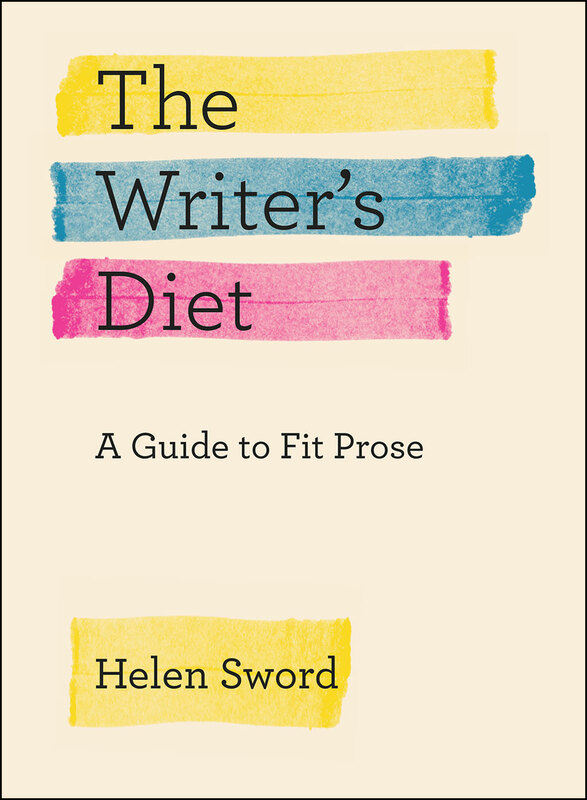 Guides to improving one’s prose already exist—Stylish Academic Writing and The Writer’s Diet by MSA stalwart Helen Sword are good examples. Still more common are advice articles on the habits of productive writers—establishing a daily practice, outsmarting writer’s block, coping with peer review. I may reference or recap such sources in this space, but it seems wise, given the riches already out there, to extend the topic of “process” in other directions. For example, one question often on my mind: what forces initiate our projects in the first place? What decisions, impulses, and pressures shape their designs, and what practices flow from those plans? There’s not enough open conversation about how various employment situations determine our effort: yes, humanists want to advance knowledge and amplify the signals of artists we admire, but job competition, prestige, and profit are motivators, too. It matters to my writing life that I am a tenured professor at a college that credits poems and literary essays, as well as peer-reviewed publications, towards promotions and raises. (I doubt I would have accepted this particular assignment otherwise.) On that note, how are current debates about the value of the humanities, and the resource shifts accompanying those arguments, affecting what and how we write and publish? How do so many modernist scholar-artists harmonize their critical and creative ambitions? Are there aspects of our particular field that inspire risk and experiment, or suppress it? Collaboration in the humanities deserves more discussion. The rhythms of an academic writing year are relevant, too, and I hope to cue up topics for April, September, and November with those transitions in mind. If other approaches would be more useful to you, or if you have an idea for a guest column in this space, please let me know. But for the moment, since I’m drafting this first post shortly after MSA 17 for a January debut, I thought it would be seasonally appropriate to start with beginnings. In particular, provoked by the “Revolution” theme of the 2015 conference, I’m considering what projects we choose when, and why, and what futures we refuse. Certainly options are constrained by all kinds of factors including access to funding, research advice, and archives—and, again, whether you need payment for your writing or receive it indirectly through institutional rewards. When you’re facing a tenure clock, it can be necessary to persist with a project you feel tired of. A steady paycheck is a good thing. Yet sometimes, boredom or discouragement are important signals that the regime must change. Perhaps your dissertation or article has become so odious you’d rather do anything than open the dreaded file again, even organize conference reimbursement forms or submit reference letters. Maybe you’ve leapt safely through tenure’s ring of fire, and as extrinsic motivators burn away, you start wondering about what changes in your work life might make you happier. Teaching new kinds of students makes people think differently about research; so does a career shift towards administration. Or your personal life evolves, and everything you’ve learned about cancer or adoption or religious conversion or micro-brewing makes you read the old books differently. At MSA 17, I talked to several people whose work has been revolutionized through misbehavior, distraction, and discontent. I began to register likenesses among those conversations as I listened to John Melillo present a paper entitled “Olson, Tape, Noise.” Melillo, now an assistant professor at the University of Arizona, once wrote an undergraduate honors thesis, advised by me, about music and twentieth-century poetry. Since then he’s settled more deeply into that groove, writing about “noisescapes” as well as composing, recording, and performing with Algae and Tentacles, so he’s not exactly a good example of distractibility. However, his work shows the perverse productivity of attending to what you’re supposed to ignore. “The machine records recording itself happening by leaving traces of its processes,” he was explaining as I sidled in a couple of minutes late; he then played a particularly “dirty” recording of Charles Olson reading. Melillo listens to the hiss, the distortion, the materiality of the medium and how it disrupts the illusion of Olson’s presence through voice. In so doing, he loops back into a richer understanding of projective verse. The point isn’t perversity for its own sake. Call it attention, intuition, or openness, but insight often happens when we’re listening to the wrong sound or in the wrong way. I missed Cynthia Hogue’s presentation on H.D. and disability, “Toward a Reading of H.D.’s Late Modernist Poetics of d’Espére,” but afterwards she told me a story that resonated with Melillo’s research. Hogue had been pursuing an ecocritical approach to H.D. last spring as she struggled through a flare-up of illness. Hogue has written insightfully elsewhere, particularly in the poetry collection The Incognito Body, about pain as noise, disrupting the linguistic fluency hyperliterate professors otherwise take for granted. An intellectual’s identity is shaken to the core when he or she can’t think, speak, and write as before. Yet there is also, always, an interesting counter-question: what information can a person bring back from an episode of static? The scholarly program Hogue had set for herself was, for myriad reasons, stuttering. Yet when she allowed herself to disobey it by focusing on disability instead of ecocriticism, the work started flowing, and she also entered remission. She noted the coincidence without spinning a grandiose tale of writerly destiny, but I vibrated to the bassline anyway: what worked was breaking the rules. Conference Poster, MSA17 Boston (2015); Graphic Designer: Sharon Matys. When I presented our digital Mina Loy project at a recent academic symposium, I was surprised by the level of fear and resistance. The concerns centered on questions of ownership: What if someone steals your ideas? If published online, will your work be protected by copyright? Those are legitimate concerns that I should think about, embedded as I am in an academic economy where status and value are premised upon the quantity and quality of scholarly publications. But what I really wanted to say was: How valuable are my ideas if they don’t exist where others can interact with them? Or if they appear only in a prestigious, expensive, hardcover book owned only by university libraries and a few scholars? And are they really my ideas in the first place? Or are they ours? I find that paragraph radicalizing. Receiving certain kinds of credit for one’s work can be vital. But it’s also important to consider that this economy, the “necessity” of pleasing specialists by writing in accordance with narrow conventions, doesn’t always serve the humanities well, nor is it always fulfilling. Complex arguments, careful research, generosity in acknowledging influence, and scrupulous peer review are wholly admirable, but so are experiment, passion, and a critical attitude about disciplinary norms. If I could shuck off all my official responsibilities for a week and spend forty hours reading or writing anything, what would it be, and why? In other words, what project, in its own right, would motivate me to get up in the morning? What’s stopping me from shifting effort to those schemes right now? Are the obstacles real? What is the most important, useful work I could be doing with my talents and training? In particular, what kind of writing would benefit or interest others most? Think of publishers and employers here, but also of professional and lay audiences including colleagues, students, readers, and friends. My own writing ambitions overlap imperfectly with the labors others seem to need or want from me, but there is some intersection, and time spent in the sweet spot is intensely rewarding. Could I find a few hours per week for playing around with new ideas? Consider Stephen King’s approach to the writing life: as he tells Jill Krementz in The Writer’s Desk, mornings are for the project under deadline but he often spends afternoons on “what I call my ‘toy truck,’ a story that might develop or might not, but meanwhile it’s fun to work on.” If you’re meeting your commitments, so what if that toy project falls apart? Committing to literary play saved my sanity during a stint as Department Head, and eventually some interesting work resulted. Tragically, it did, in fact, cut into my email time. If even that seems impossible: can I teach towards my next obsession? If you put an unfamiliar book/ issue/ methodology on the syllabus, you’ll definitely do new work. Plus there can be a wonderful energy to joint exploration—open discussion, student-led research—rather than playing the expert regurgitator of wisdom. You can learn a lot from changing up not just the readings but the kinds of writing assignments. When you weary of grading, you may really be exhausted by an over-deployed kind of paper, just as you may tire of writing in familiar modes. I am at least as prone to self-doubt as your average English professor but find these questions clarifying. I get more done when I keep them in mind: not just what can I write next, but what work should I be doing in service of poetry—for my students, my comrades in the profession, myself? I would love to hear other questions, answers, and tales of scholarly misbehavior from outside of my own small network via comment or back channel—but not if it detracts from special one-on-one time with your toy truck.